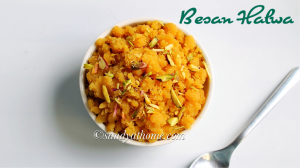 Besan halwa as the name goes is a delicious sweet recipe made with besan/ Chickpea flour. 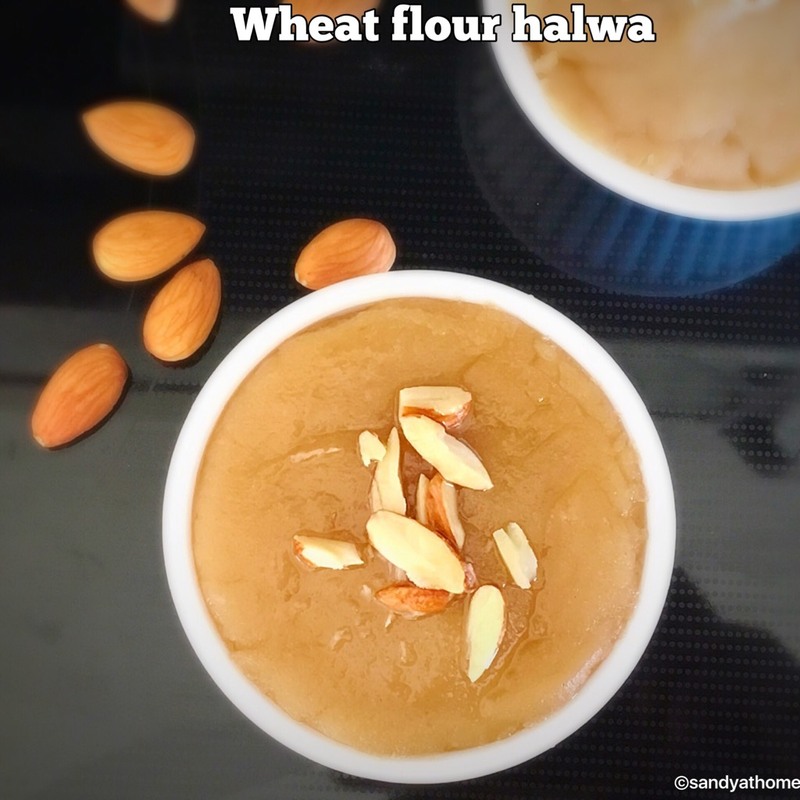 Besan is usually used for making a variety of fried snacks and also for ladoos but why not make a quick and simple halwa with it to give feast to our palates. 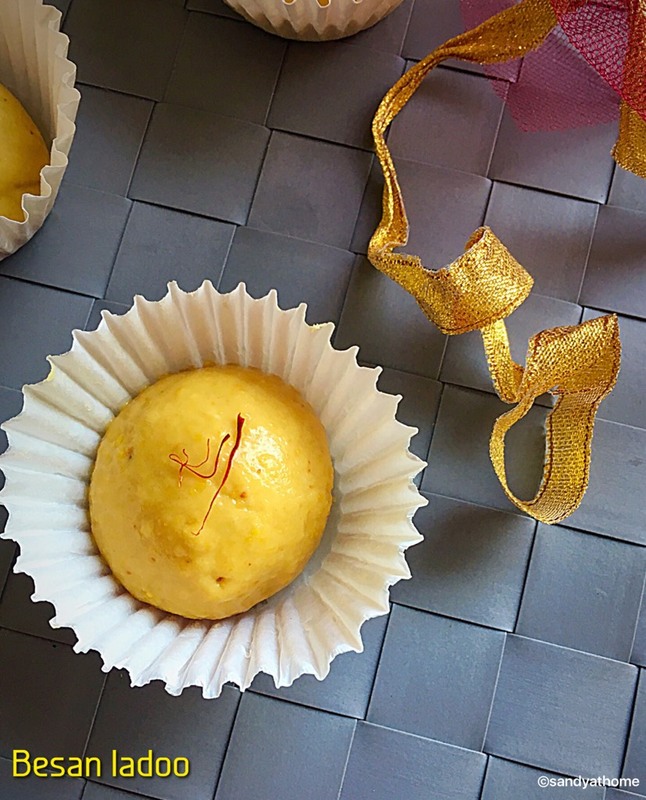 Besan halwa requires just few basic ingredients for its making and also involves simple procedure and no special technique for its perfect outcome. But I must admit that it involves a lot of stirring and patience to achieve it as the whole process will be done in low flame. But it would be worth every stir and minute spent in it as the end product will be super yum and will fill the house with its nice aroma which will keep lingering for days. 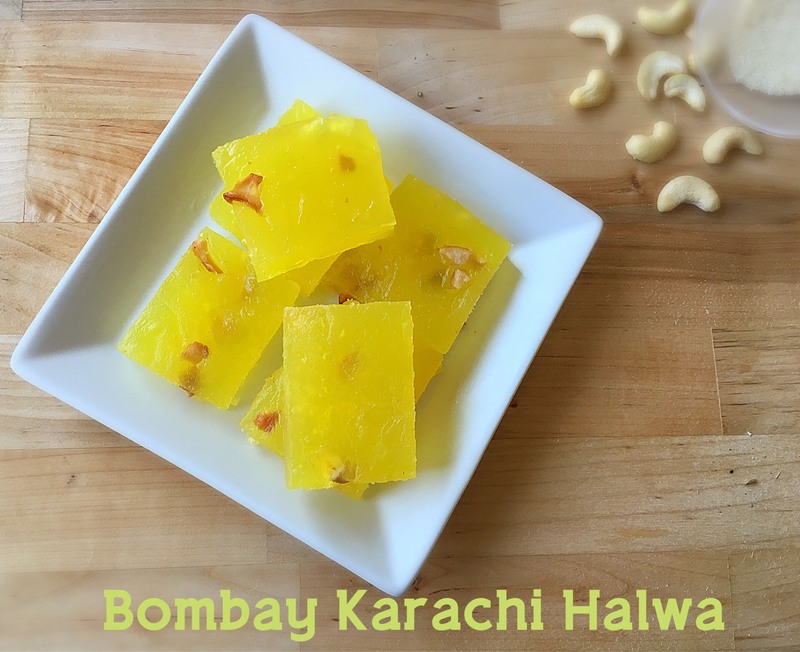 This halwa requires no grinding or sugar syrup consistency but still taste delish that is why it is beginner friendly too. 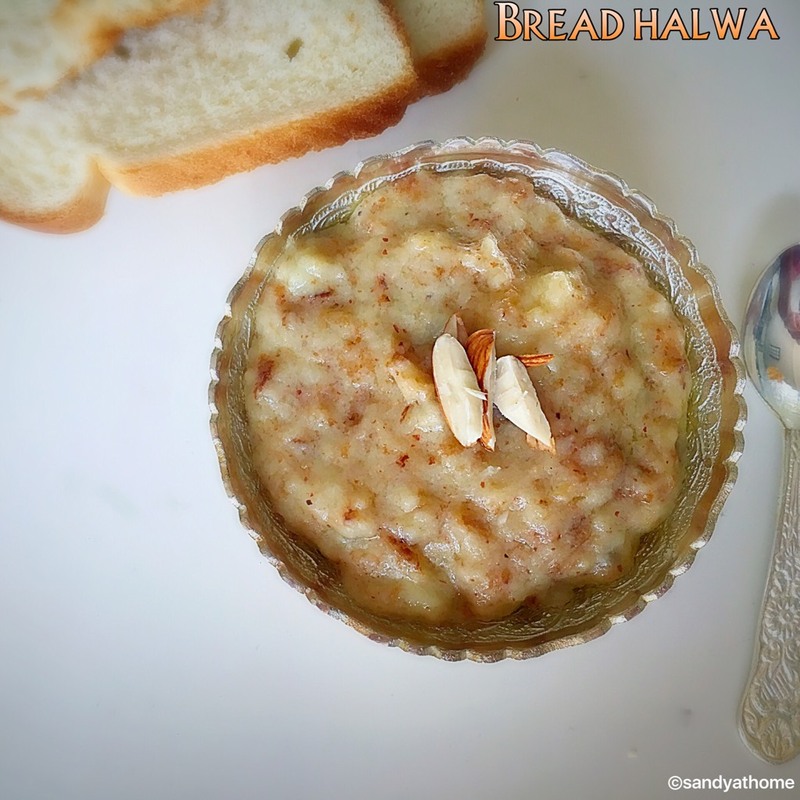 Make sure to use non-stick pan for this halwa as it sticks a lot in the pan and also the spatula. 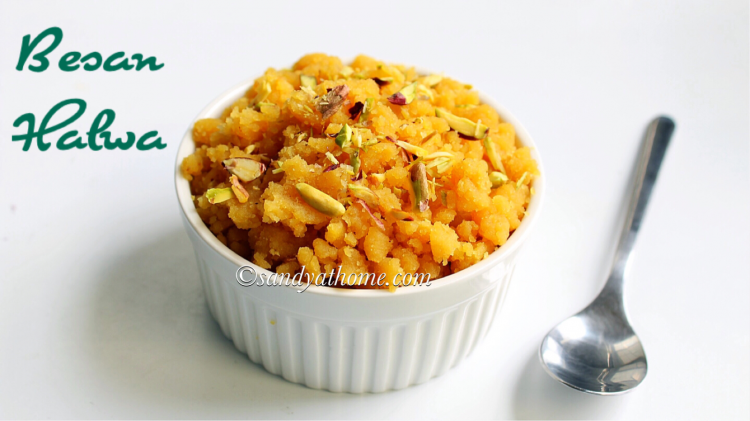 So if you are going to have any guests at home or special occasion surprise everyone with this delicious besan ka halwa! So lets get to the making! Heat ghee in a non stick kadai/ pan. To it add besan and roast it in low flame for about 10 to 12 minutes until nice aroma is released. Keep stirring besan every now and then to make sure it does not burn. 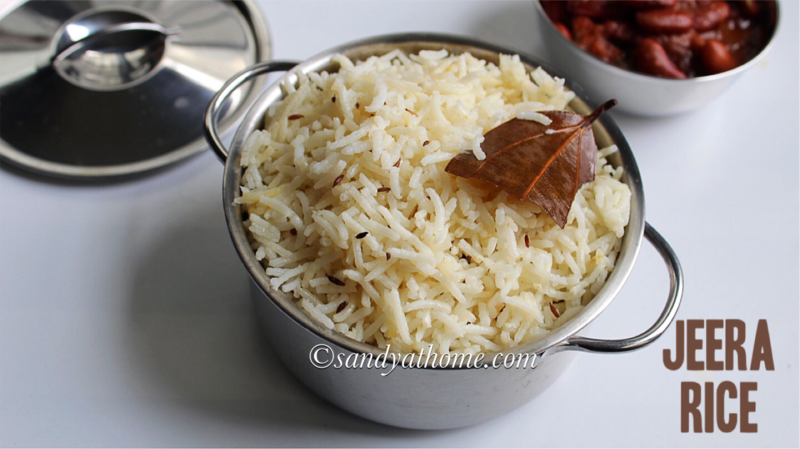 After 12 minutes you will notice nice aroma from besan and also a mild color change. Now keep the boiled milk ready in one hand. 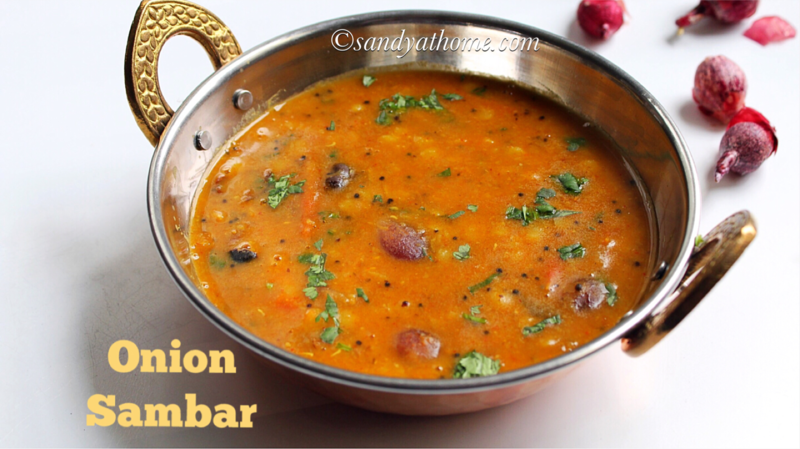 Gradually add in small portion and stir the besan mixture well. 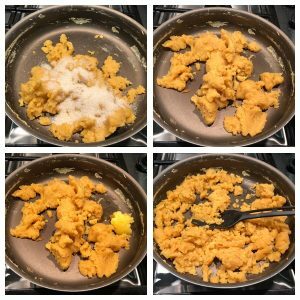 I used ¼ cup first then gradually increased to ½ cup. 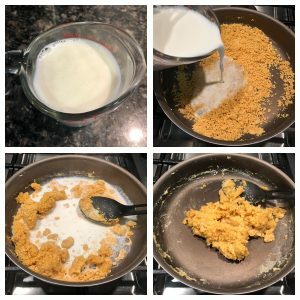 Now add ½ cup milk to the besan mixture and give it a good stir. Now add the remaining boiled milk and stir it really well that it combines with the besan mixture. 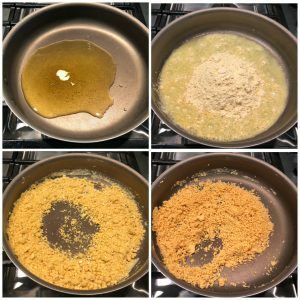 Cook this mixture for 3 to 4 minutes. Now add sugar and cardamom powder to it and mix really well until combined. Finally add ghee and mix it again and put off the flame. 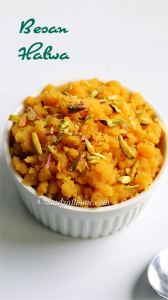 Yummy and tasty besan ka halwa is ready!